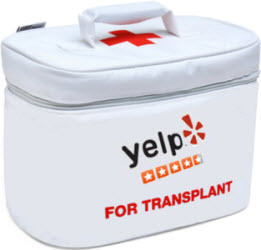 Will Yelp Transplant Your Reviews? Yelp reviews aren’t something you want to lose, if you can help it. Under what circumstances can you get Yelp to move, transfer, or transplant your reviews from one business listing to another? Can a business owner (or anyone else) request for Yelp reviews to be moved / transferred to another listing? And if so, under what circumstances might Yelp be able to move the reviews? The scenario I’m thinking of is if a business has two duplicate listings on Yelp and each one has 5 reviews. It would be a shame to lose those 5 reviews, so can the business owner get the reviews on Listing A transferred to Listing B – if they’re truly for the same business and location? If there happen to be duplicate listings of the same business, whether there are reviews on each listing or not, our team will merge the listings and all content will be combined. So, if there were 5 reviews in each listing before, once merged, the new, single listing would then have 10 reviews. My suggestion: if your reviews are being spread thin by duplicate or near-duplicate listings, don’t just wait around for Yelp to discover and merge the listings. Report those listings sooner rather than later. If it sounds like I’m saying that with too much confidence, it’s because I’m not talking about people. 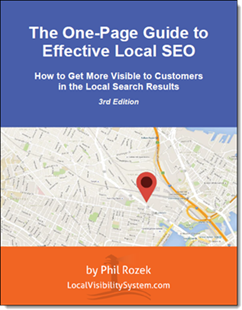 I’m talking about reviews – specifically on Google Plus and Yelp, the two sites where it’s most important but hardest for most “local” business owners to get reviews. What’s the big difference between those two ultra-important sites and others? It’s that reviews don’t simply travel from the typing fingers of your customers, to your business listing, to the eyes of potential new customers. Somewhere along the way, they can disappear because of Google’s or Yelp’s infamous review filters. It’s possible for a review not to show up even when you know for a fact that a customer wrote one, and it’s possible for it to show up for a while but later disappear. You name it, it can happen. What happens to a review once the anti-spam filter mafia works it over? Does it swim with the fishes? Is it gagged and tied to a chair in a dingy basement, held captive until you meet certain demands? Will it be freed? What can you or others do to free it? I’ve got some thoughts on those points, and so do Mike Blumenthal and Darren Shaw. Those two guys were kind enough to share some excellent insights (as you’ll see). You know some of your reviews have been filtered if your customers are the only ones who can see their reviews on your page. Let’s say you asked Bob, a customer, for a review. You know for a fact he went to the right listing, signed into his Google Plus account, and wrote you a review. If he’s the only one who sees the review on your business page – if nobody else can see Bob’s review – then you know it’s been filtered. If Bob signs out of his Google account, even he won’t see it on your page any longer. Bob is in a séance with the ghost of the review, made possible by the hocus pocus that is Google Plus. Google has not been totally transparent about their review filtering. In other words they have been totally opaque about the rules and technologies that they are using. Reviews are kept in a separate index and not with the basic business data. This allows them to remove or move individual reviews. In the past there were also issues where some reviews were lost, misplaced or otherwise missing that didn’t involve their filter. So sometimes it was difficult to know whether they had just “misplaced” a review or had “misjudged” it. I think most of those problems have been put behind them so at this point if they are not showing up (but do show under the author) then they are being filtered by the filtering algo. Assuming that a review is visible under the author then if it were ever to be unfiltered by a human at Google. Google can now also move reviews from one business listing to another. These both mean that Google has obviously developed internal tools to allow support staff to this which they never had before. It’s possible for the review to come back. It may return to your page – exactly where you and your customer wanted it to go – if Google relaxes its filtering algorithm. This happened in January of 2013, after about 7 months of draconian filters that sent far too many innocent reviews to the gallows. It was a great feeling to see many of my clients’ legitimate and hard-earned reviews reappear on their Google listings. Given that we do not know all of the parameters that cause a review to be filtered we don’t really know and can’t easily test if any given review can be unfiltered in some way. 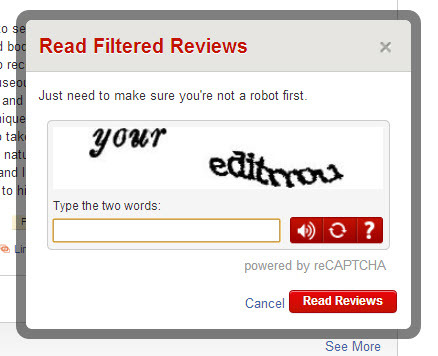 The review filter, unlike Yelp’s, seems more complicated and layered. If that is the case and Google scores multiple attributes of any given review it would seem that it would be unlikely that they could be surfaced by user activities. Possible but unlikely. First study the review itself and see if you can discern anything that might have tripped the filter to begin with, and see if you can glean any insights that way. Then copy and paste a sentence or two of the review text into Google, and see what comes up in the search results. It may be the case that Google accidentally stuck the review onto someone else’s listing, in which case you may be able to get it moved to where it belongs. Nothing at Google is ever thrown away. Not a listing, not reviews, not anything. You can’t really even delete a listing. If Google thinks a listing should be shown that you have “deleted” in the dashboard they will show it. Only by “closing” a listing can you make it inactive. Reviews are the same. They never go away and the system is always looking for a listing to attach them to. However now that 1) they can unmerge listings and 2) move reviews around it is possible to get reviews off of one listing and onto another if they are there inappropriately. The “afterlife” of Yelp reviews isn’t nearly as mysterious. They rest securely in Yelp’s “filtered reviews” section. Like Egyptian mummies, Lenin, or poor cryogenically frozen Ted Williams, they can be seen by humans. I’ve learned over time that reviews on Yelp get filtered out based on reviewers’ activity – or, more specifically, their inactivity – rather than on what they write. I’ve seen Yelp both filter and allow reviews that are short, long, helpful, lousy, full of keywords, devoid of keywords – you name it. I’ve seen helpful, appropriate reviews get filtered, and I’ve seen raunchy ones go through. What Yelp seems to look at, above all, is how active a Yelper the reviewer is. If your customer goes onto your listing, gives you 5 stars and a review, leaves, and isn’t already in the habit or doesn’t get in the habit of writing reviews on Yelp regularly, his or her review probably will never see the light of day. 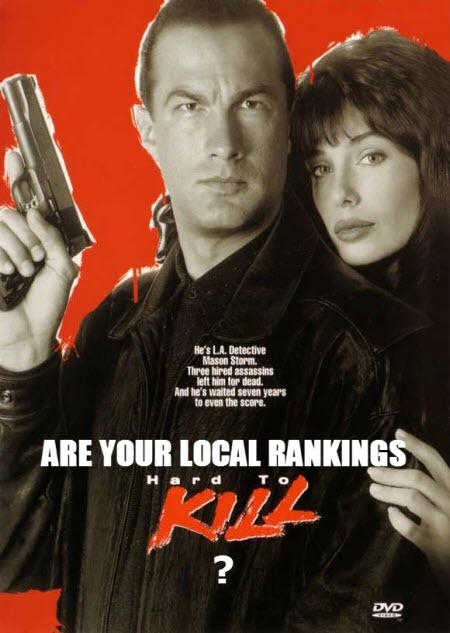 The reviews of first-timers are marked for death. As far as I know, the key to unfiltering Yelp reviews is to engage the reviewer. Many reviews get filtered because the reviewer created an account, left a review, then didn’t use the site again. Yelp trusts reviews from its active users more than the inactive ones, so “activate” that reviewer. Friend them. Respond to their review. “Like” their review. Send them a message through Yelp. Encourage them to review other businesses on Yelp. With a bit of activity, we’ve seen reviews raise from the dead on Yelp. Now imagine you have a database of customers, and you check them all with this search. You could put a little “flag” on their account and have your staff let them know you’re on Yelp the next time they come in. That’s why you need to do what you can to get reviews in the first place, and to do what you can to get them back if they ever go anywhere. Now you have the ability to do both. Last but not least…thanks to Mike and to Darren for their great insights!